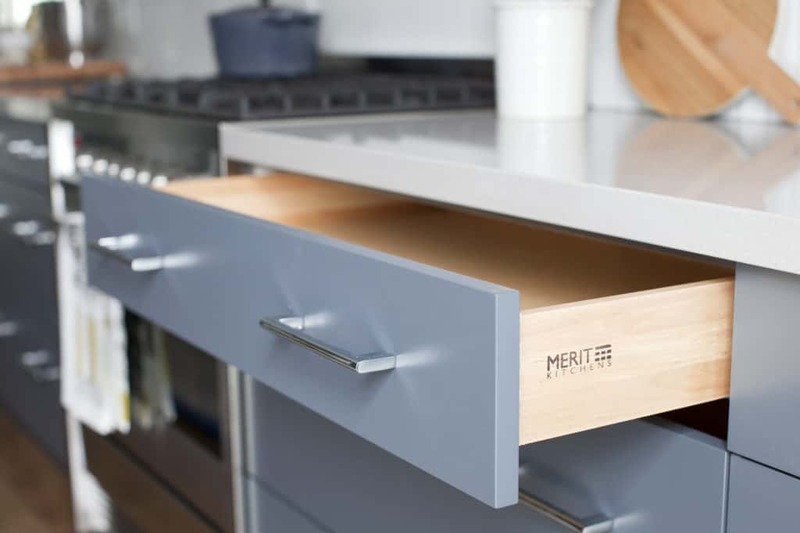 Kim & Teri | Love It or List It Galleries | Merit Kitchens Ltd.
Galley kitchens often feel cramped. But not this one. 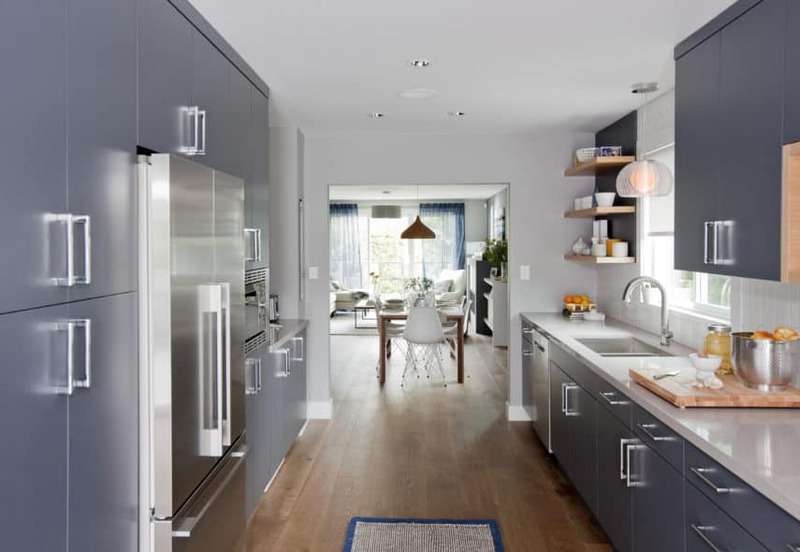 The elegant blue hues coupled with thoughtful wooden elements and bright shades of white has created an open and airy space. The entry to the kitchen was widened, and adorned with beautiful bookshelves. 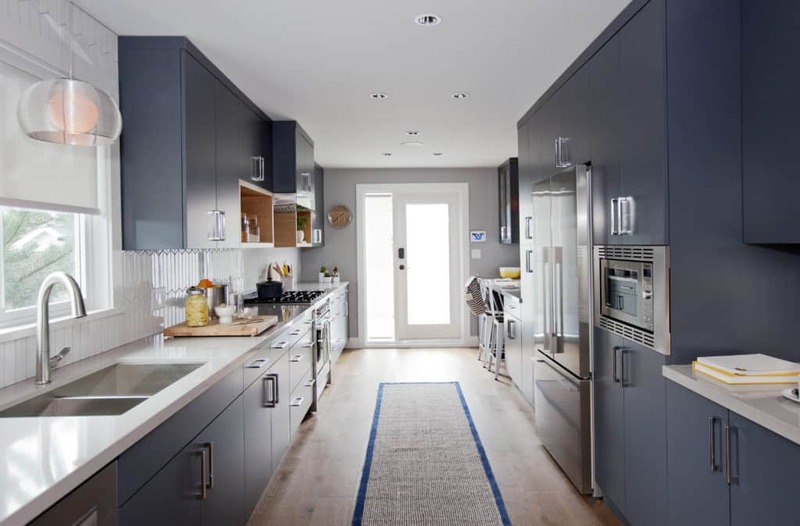 Flat-panelled kitchen cabinetry in a grey-blue shade creates a very clean and contemporary look, especially when paired with sleek chrome pulls. 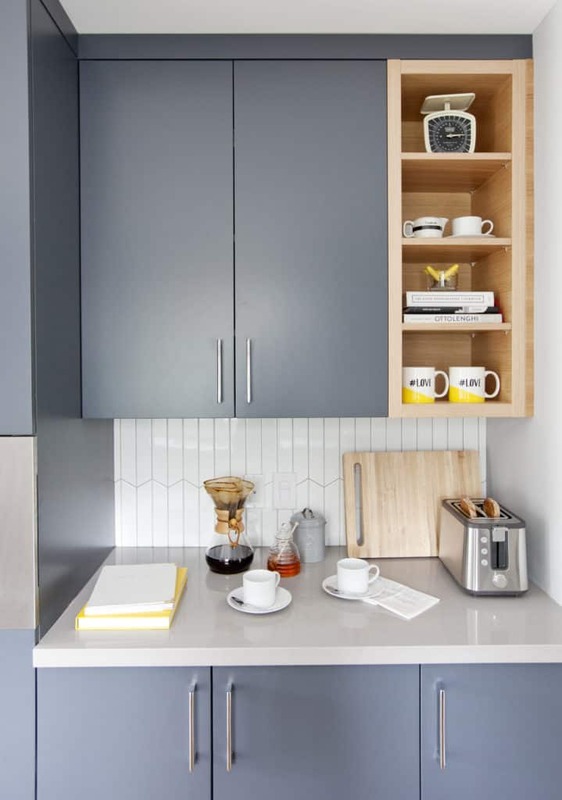 In addition to custom cabinetry, this modern kitchen features new countertops and a window (in its existing location) to enlarge and brighten-up this once cramped and dark space.